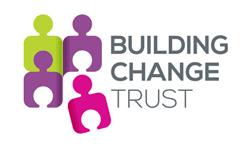 Supported by Building Change Trust and curated by open Democracy. We are living in turbulent times for electoral democracy, not least in N. Ireland. Across the world, people seem to be losing faith in the electoral system and increasingly believe authoritarianism is the answer. But it didn’t start with Brexit and the election of Trump. According to the Economist Intelligence Unit’s Democracy Index, less than 5% of the world’s population lives in a ‘full democracy’. The most recent report records the worst decline in global democracy in years, with freedom of expression, in particular, facing new challenges from both state and non-state actors. Supported by Building Change Trust and curated by open Democracy, Democracy Day is back for its third outing at the festival. It’s a full dawn to dusk programme exploring the health of democracy and the latest local and international thinking about what needs to be done to reinvigorate democracy and make it fit for purpose in our volatile times. 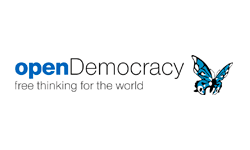 At this event we will examine a number of models of deliberative democracy and argue that a key part of the solution to this malaise is a deeper involvement of citizens in decision-making. Anthony Barnett: ‘Imagination and Democracy: The Challenge of Becoming more Human in Today’s World’. Anthony Barnett is the founder of open Democracy. His most recent book is The Lure of Greatness, England’s Brexit and America’s Trump. Panel debate on the State of Democracy in NI and beyond with Mary Fitzgerald, open Democracy (oD), Paul Braithwaite, Community Foundation NI and Roslyn Fuller, Solonian Democracy Institute. What kind of security policy better serves democracy? In partnership with the Transnational Institute. Speakers include Ben Hayes, Transnational Institute; Cori Crider, ex-Legal Director at Reprieve; Daniel Holder, Committee on the Administration of Justice and Narzanin Massoumi, Exeter University. Courageous conversations: confronting the ‘other’ – with Belfast Friendship Club film screening. Panellists: Mary Fitzgerald, oD; Stephanie O’Rourke, Team Leader, Springboard Opportunities; and Dr Stephanie Mitchell, Integration Project Coordinator, South Belfast Roundtable. Lunch with street theatre, board games and the Bryson House project, ‘Postcards from the Edge of Europe’, when members of the public will be invited to write a love letter or farewell message to Europe on ‘Brexit Day’. 2.00pm: What next for a Citizens Assembly for NI? With Tim Hughes, Director, Involve. Brexit, dark money and the threat to our democracy. How did money from undisclosed sources influence the Brexit referendum? From Arron Banks to the DUP, discover how dark money has infected British politics. And what can be done to tackle this threat to democracy? With Mary Fitzgerald, oD; Peter Geoghegan, oD; and Jim Fitzpatrick, BBC Spotlight. A new PACT for civil society: the need for new directions around power, accountability, connection and trust. Moderator: Natalie Fenton, Professor of media & communications, Goldsmiths, University of London. Panellists: Asif Afridi, deputy CEO, Brap; Tom Greenwood, researcher, Goldsmiths; Seamus McAleavey, Chief Executive, NICVA; Rhiannon White, co-founder of Common Wealth Theatre. With keynote speech Why Leaders Lie – click here for more information and ticketing. With Colin Hassard and Dirty Words. – click here for more information and ticketing.